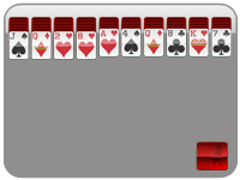 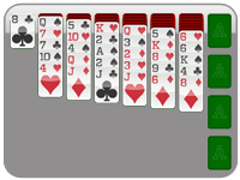 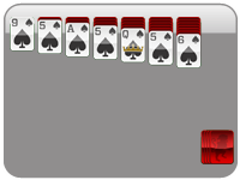 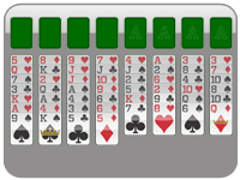 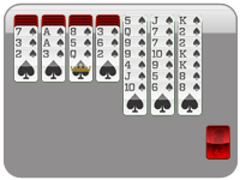 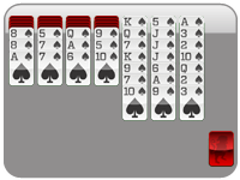 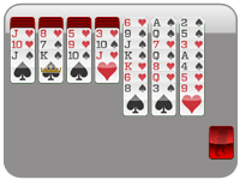 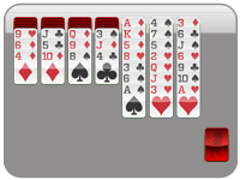 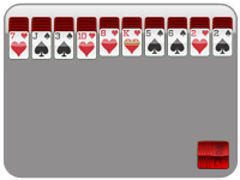 Spider Solitaire traditionally has 3 difficulty levels. This version of the popular puzzle game is played with 2 suits instead of one, making it much more difficult than the card game Spider Solitaire. Just like in regular Spider Solitaire, the goal is to create stacks of cards (of the same suit) in descending order to eiliminate them from the tableau. 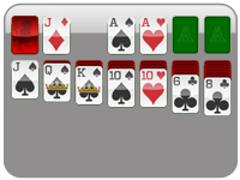 You may place any 2 cards in descending order--but the above cards will become "inactive" (grayed out) if the two cards don't match suits. 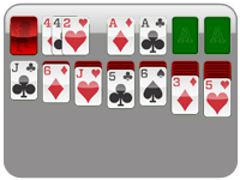 placing a card onto a card of a DIFFERENT suit will cause the above cards to go "inactive"